Woven dental floss is a type of floss that has the fibers braided or woven together. 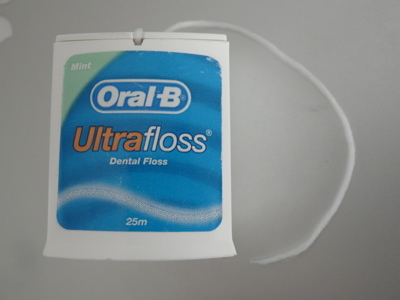 An example is Oral B Ultra floss. This gives woven or braided floss a different texture and feel to the more widely-known floss or tape. So is woven dental floss better than normal floss? Not necessarily! It depends on how you use it, and how tightly your teeth contact each other.Most of my patients prefer the way a waxed floss or Oral B TAPE slips easily between the teeth. They find that braided floss tends to get stuck in their teeth, becoming shredded.